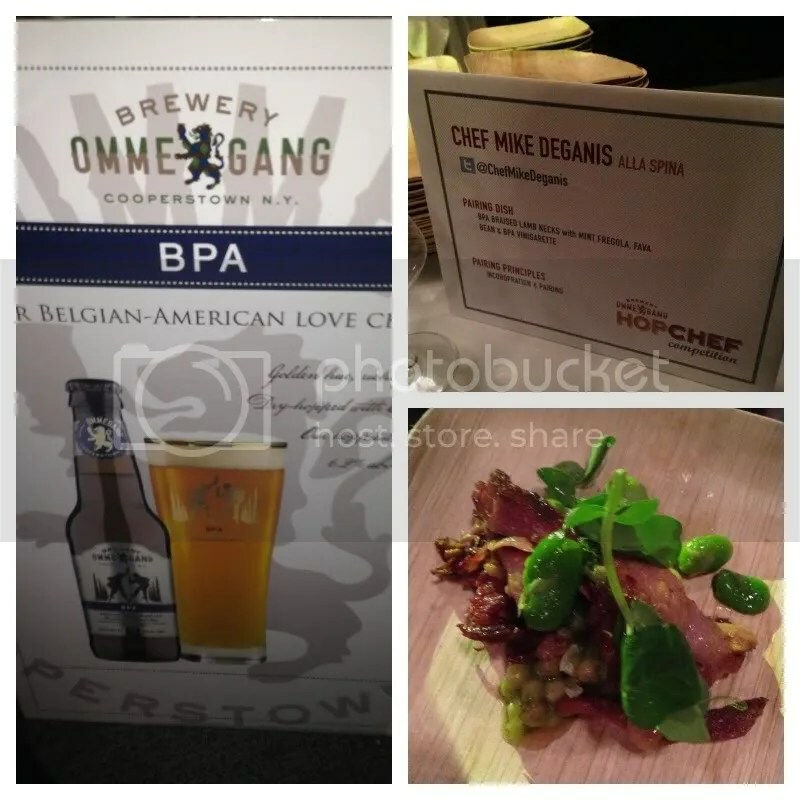 Last night was the Second Annual Hop Chef competition in Philadelphia, hosted by Ommegang, where six local chefs go head to head creating dishes that incorporate and pair with various beers from the brewery. 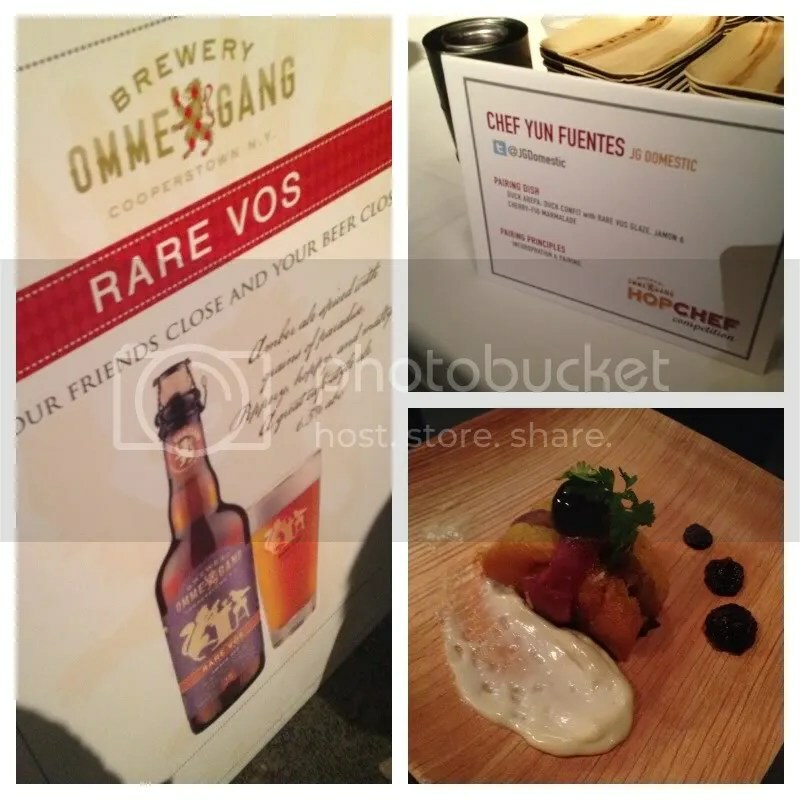 Competitions are held in various cities, with the winners from each city being granted the opportunity to compete at the brewery’s annual Belgium Comes to Cooperstown beerfest. 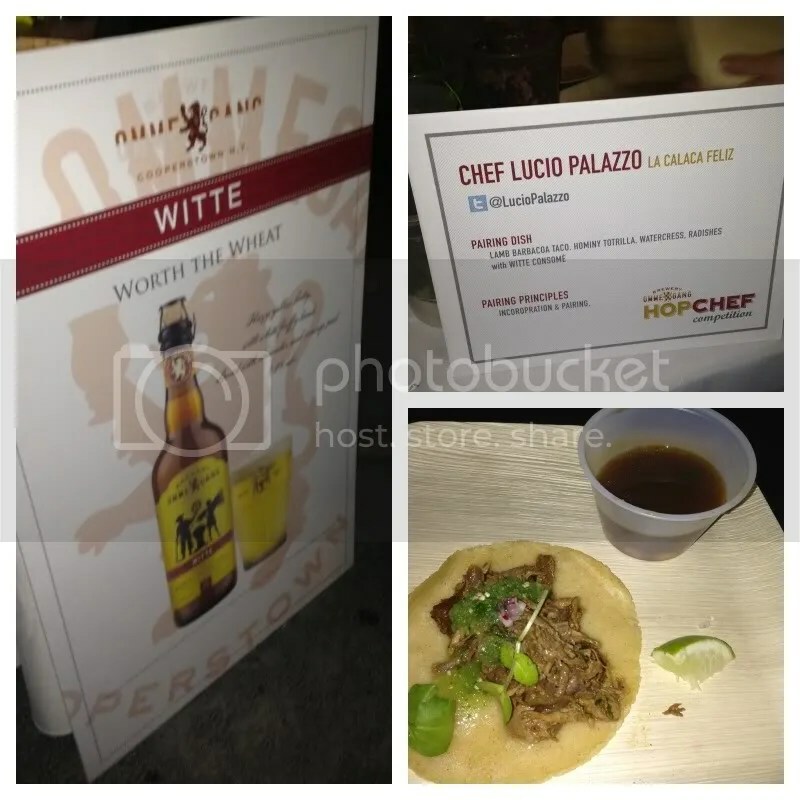 (Last year, Philly’s own George Sabatino took home the crown!) 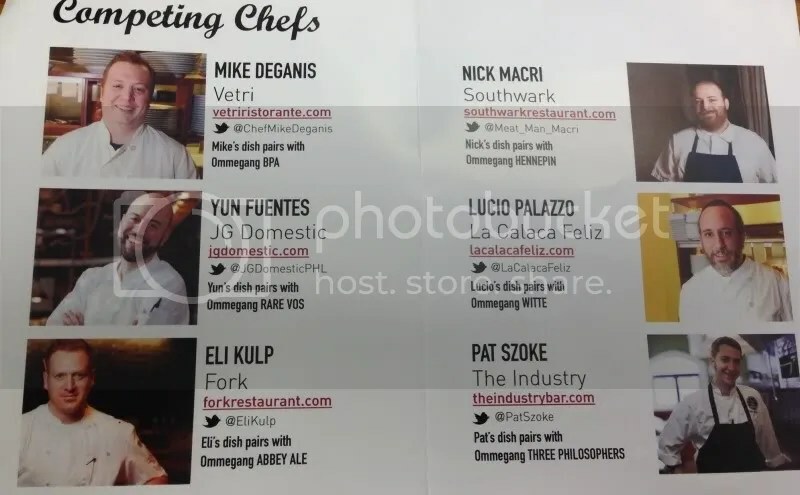 This year’s competitors were Mike Deganis of Alla Spina, Lucio Palazzo from La Calaca Feliz, Nick Macri of Southwark, Pat Szoke from The Industry, Eli Kulp of Fork and Yun Fuentes from JG Domestic. Look at all those handsome dudes! 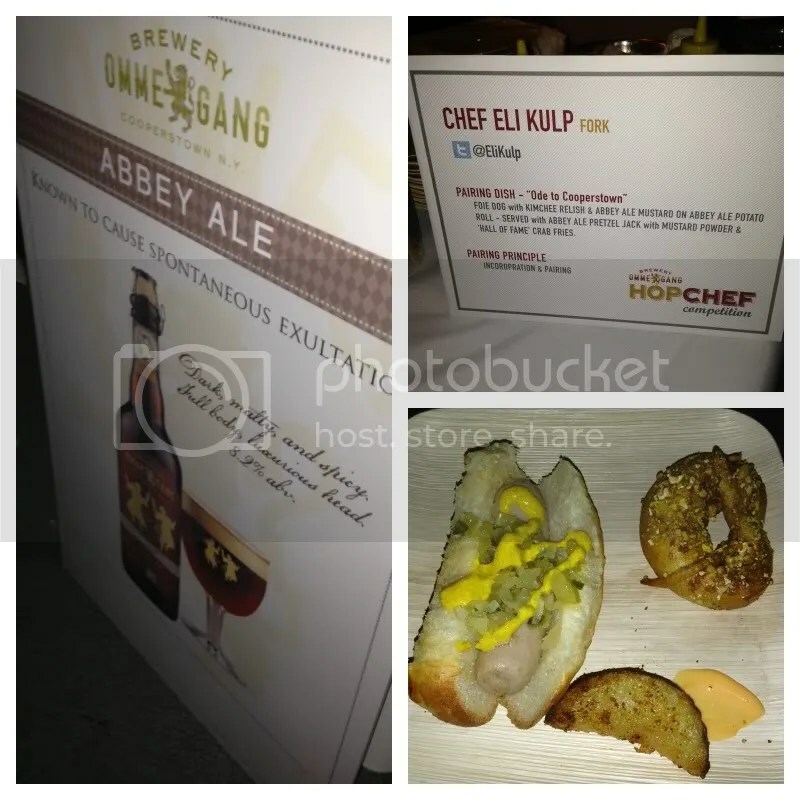 Third was a Foie Gras hot dog, topped with kimchee relish & Abbey Ale mustard on an Abbey Ale potato roll, paired with an Abbey Ale pretzel topped with Cracker Jack & mustard powder and a potato wedge seasoned with Old Bay – “Crab Fries” style – from Eli Kulp of Fork. 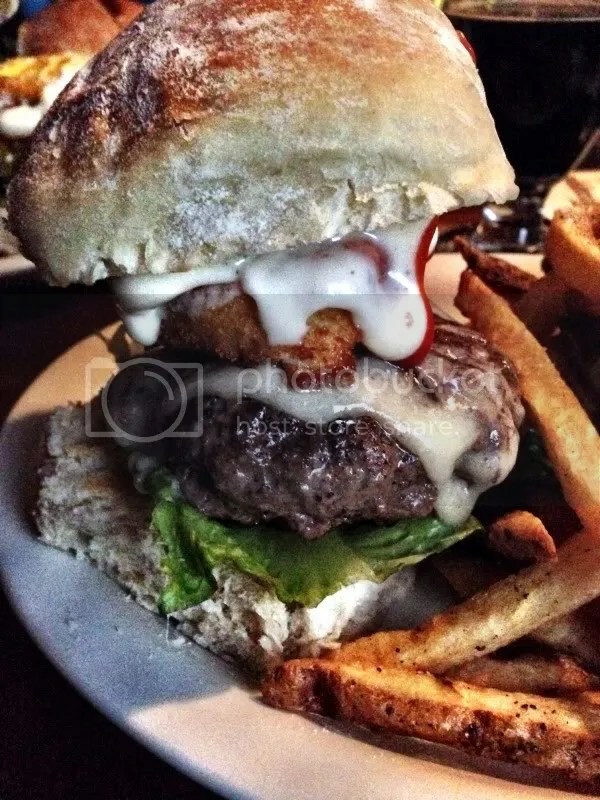 Having just been to Fork on Saturday, I thought this dish was quite a contrast to the upscale items on the restaurant’s menu (but that’s part of the challenge when having to incorporate beer and have it pair well with the beer as well, right?). 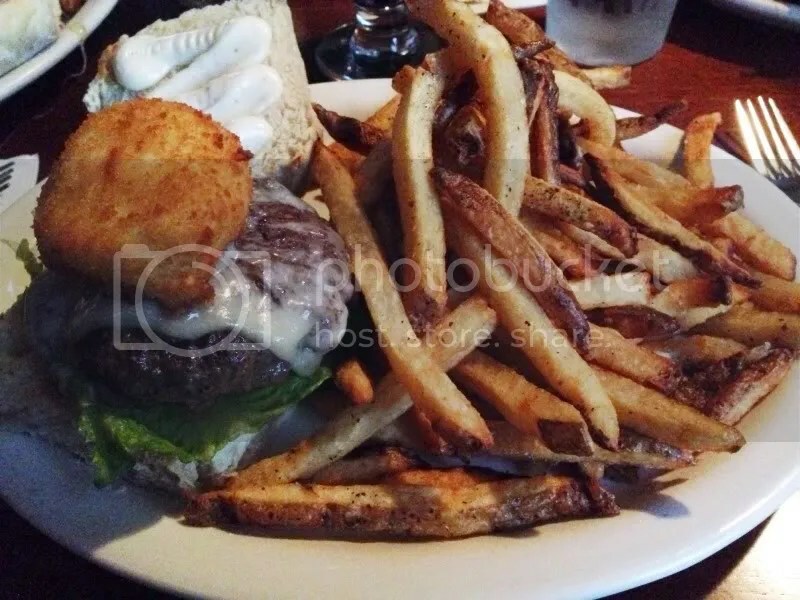 I really enjoyed the Foie dog, but the solo potato wedge just seemed like it was just thrown in and didn’t complement anything else on the plate. I got that it was supposed to be a ballpark tribute since Cooperstown is where the Baseball Hall of Fame is, but maybe sometimes less is more. 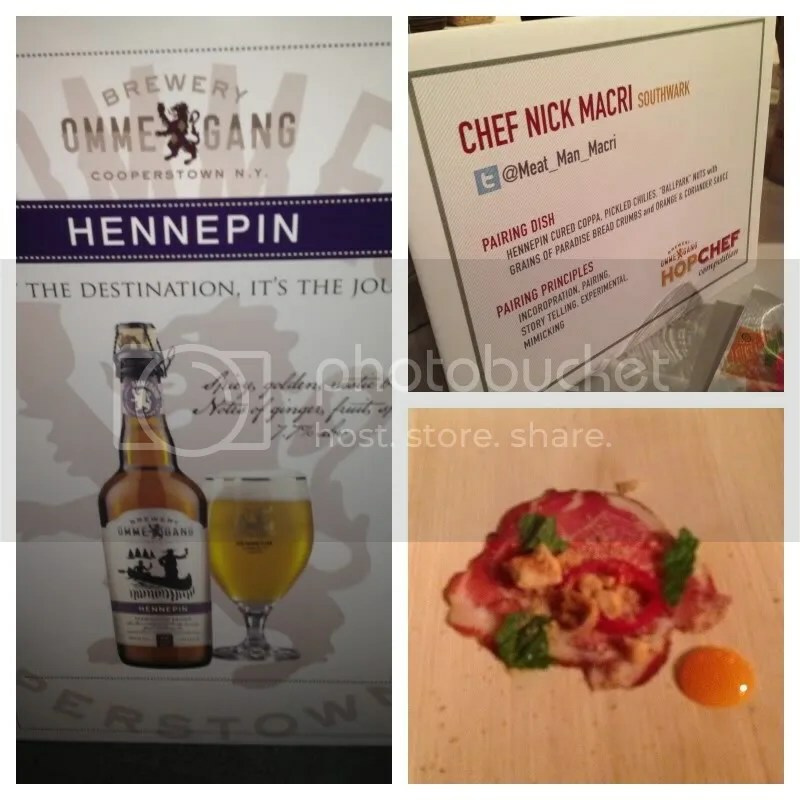 Nick “Meat Man” Macri of Southwark cooked up a dish of Hennepin cured coppa, pickled chilies, “Ballpark” nuts with grains of Paradise bread crumbs and an orange & coriander sauce. 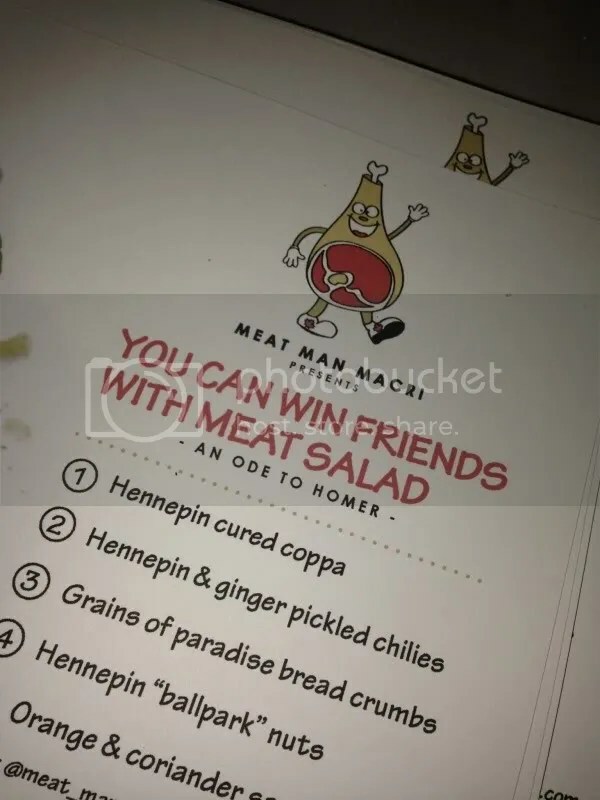 Because you can’t win friends with salad, but you can win friends with a meat salad! So, drumroll please…. The People’s Choice winner was Yun Fuentes of JG Domestic and the Judges’ pick was Nick Macri of Southwark! Overall, I had a great time at the event and can’t wait to check it out again next year! 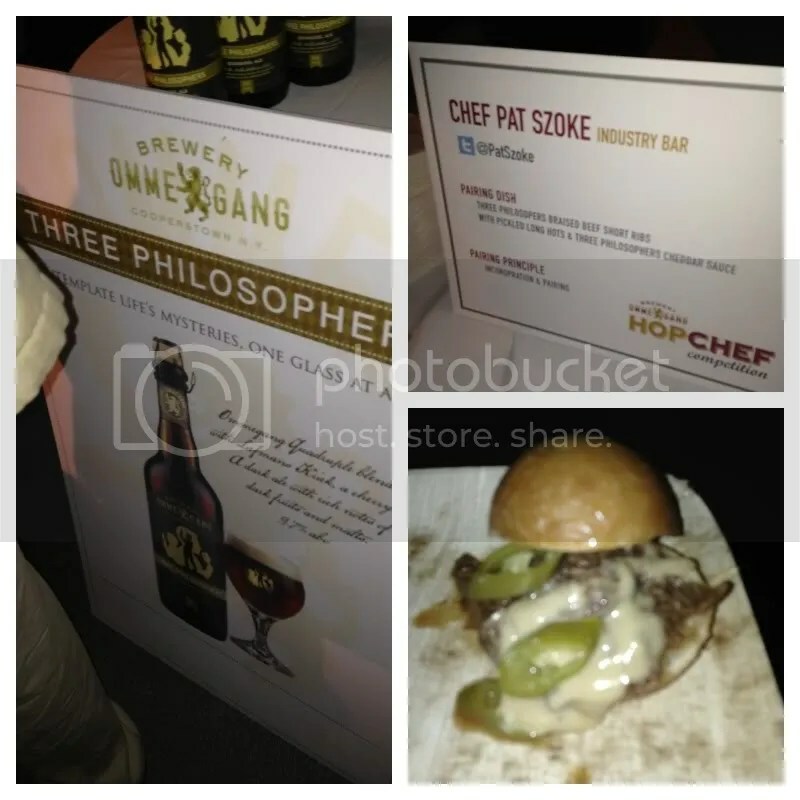 Posted in alla spina, beer, foie gras, Fork, Hop Chef, hot dog, JG Domestic, La Calaca Feliz, Ommegang, Southwark, the industry. Bookmark the permalink.